Washington Metropolitan-Area Transit Authority police respond to 70 unattended bags each month according to an investigation by the News4 I-Team. Approximately two of those bags are deemed “suspicious” each month by transit police, which a Metro spokesperson said would include bags found in an unorthodox location, bags quickly abandoned by someone leaving the premises, packages with visible wires and bags seeping some type of material. The transit system, in an effort to speed response to suspicious packages, has promoted a “See Something, Say Something” awareness campaign to encourage transit riders to quickly report unusual packages or bags. With permission of WMATA administrators and under the watch of undercover transit police, the News4 I-Team conducted a test of passenger awareness by placing an unmarked green knapsack at two popular Metro stations on a weekday afternoon, leaving the bag unattended while under News4 I-Team surveillance. 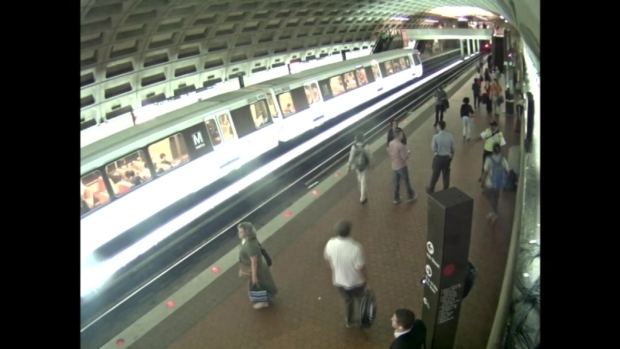 Surveillance video shows people passing by and even stopping next to an unattended bag at the Metro Center and Fobby Bottom stations without notifying anyone. 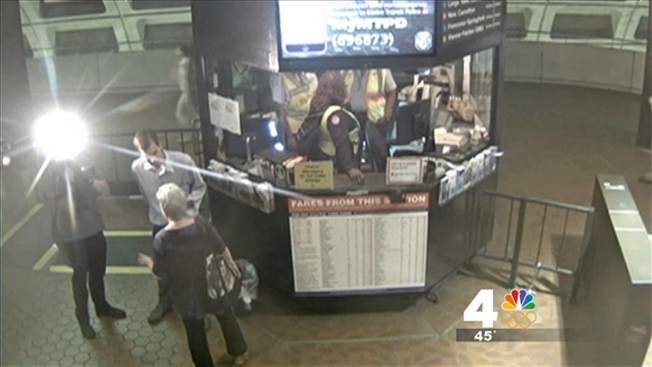 During a 90-minute test at the Foggy Bottom Metro stop on the system’s orange line, the News4 I-Team placed the knapsack next to an escalator within 15 feet of the tracks. Two passengers would report the bag to station administrators, but the News4 I-Team review found 39 minutes had elapsed between reports. WMATA explosives investigator Sgt. Thomas Sharkey called the lag in time between reports was troublesome. During a separate hour-long test at the Metro Center station on the system’s red line, in which the News4 I-Team placed the knapsack either next to a passenger bench or on top of the bench, two passengers alerted authorities. In several cases, passengers saw the bag, then ignored it. In one instance, a passenger saw the bag, yet sat next to it on the bench. Rodney Parks, assistant chief of WMATA police, said passengers are increasingly preoccupied with personal electronic equipment and less likely to be aware of their surroundings. The transit system is producing advertisements, flyers, railcar posters and digital flat-screen messages at station entrances to alert passengers to report unattended packages. Metro has also recorded station audio announcements to alert customers. In October, Metro unveiled a new text message campaign, to give passengers further options for reporting suspicious bags. Passengers are being instructed to text alerts to MyMTPD (696873).